Soothing beard balm. Calms irritated skin. Strengthens and increases hair growth. In addition to nourishing dry facial hair, the Beard Soother also heals stressed and tired skin underneath the beard. It is fast absorbing and already a hazelnut-sized amount of the balm is enough to fully unfold the Beard Soother’s effect. Furthermore, the Beard Soother contains the beneficial properties of Aloe Vera. The oil of sea buckthorn will bring glow back to chapped and dry skin. Masculine, tangy and tempting. 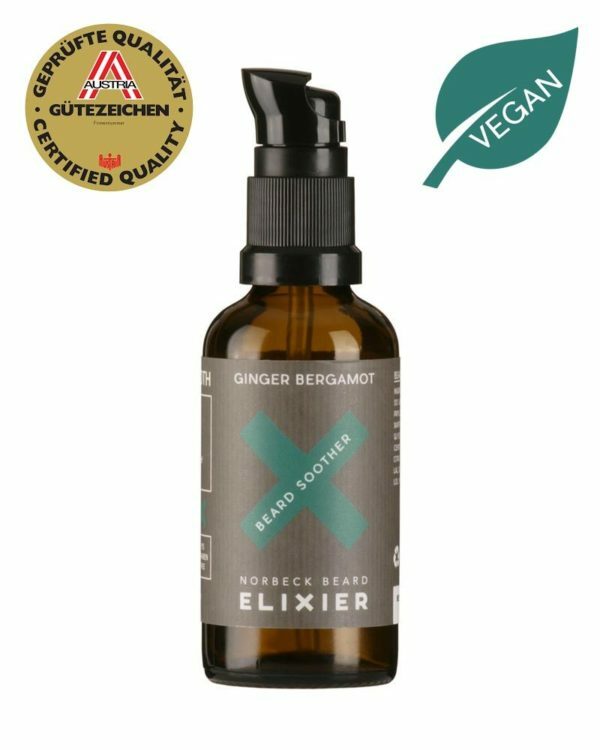 The Beard Soother Ginger Bergamot embodies a masculine blend of spicy ginger and uplifting bergamot. 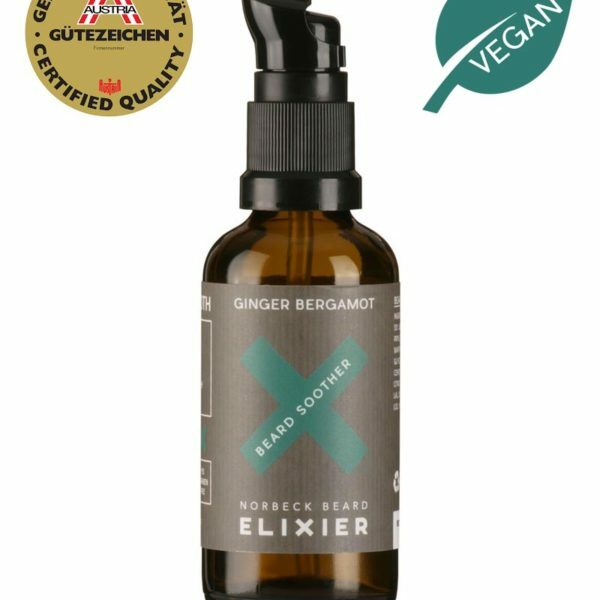 The ginger captures the woody and spicy elements whereas the Bergamot is fresh and zingy. All together it is a perfect scent full of nature‘s goodness.